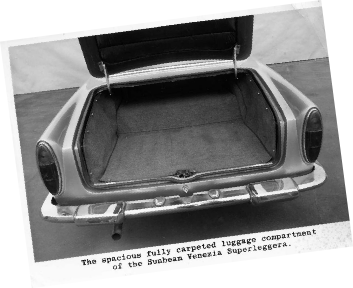 1964 Sunbeam Venezia by Touring Superleggera, Milan. 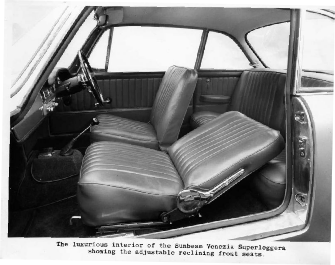 More details on the Sunbeam Venezia website. 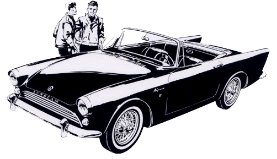 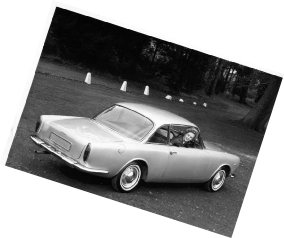 Launched on 12th September 1963 with a little over 200 produced. 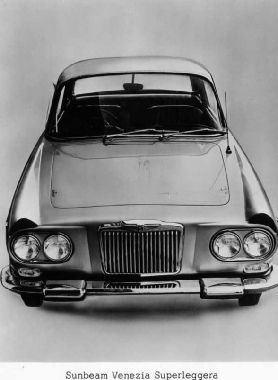 Built on the Humber Sceptre floorpan, Sunbeam Rapier front grille, Hillman Minx like front wings and Sunbeam Alpine like rear wings over a tubular space frame.